Turaga-ni-Koro (Village Headman) for Navotua village, Ame Rokotuibau. Serving his people the best way he can by leading his community is what epitomizes Ame Rokotuibau of Navotua village, in the Yasawas. 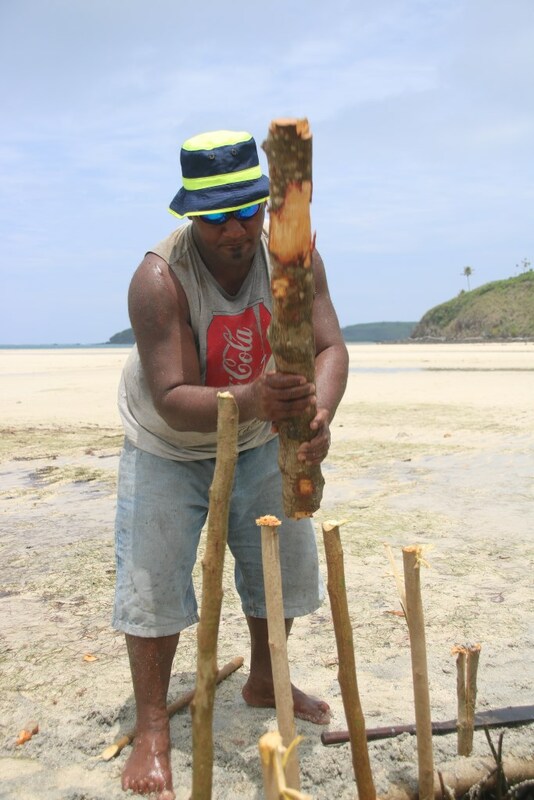 At 29 years of age, the former Sports Science teacher who used to teach at Yasawa North Secondary and Ba Provincial High School is now a Turaga-ni-koro or village headman of his community which consists of 27 households and a population of 127 people. “With no renewal in my contract, I decided to come back to Navotua since I realised that staying on the mainland, you need to work, so I came back to help my family and also farm the land. This was back in 2013.” Rokotuibau said. Navotua village is one of the seven villages that make up the district of Nacula and is also a project district site for the World Wide Fund for Nature Pacific (WWF-Pacific). Since his appointment as the Turaga-ni-koro in 2017, there has been no turning back for this soft spoken man who has maternal links to Viwa, one of the islands that make up the Yasawa group. “I became the Turaga-ni-koro because no one wanted to, my father was my predecessor and had used up his two terms of eight years serving as the village headmen, so I just thought I would give it a go and try to serve my community the best way I can. 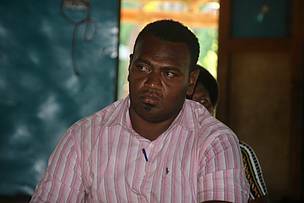 Being a village headman is a challenge since it requires a lot of patience and understanding,” revealed Rokotuibau. “There have been a few developments that have taken place lately and sometimes, I would have to take the lead role and start a project and when it works, the whole community is on board, Rokotuibau said. He added that working in rural settings does come with its fair share of challenges too. 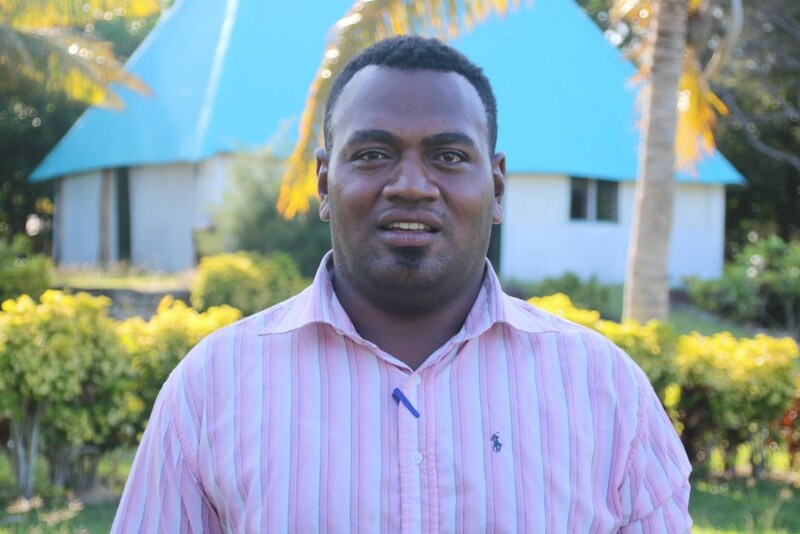 “Changing mind-sets is not easy for rural and maritime communities, and that is a challenge that I not only face, but other village headmen,” Rokotuibau said. There is still a lot more work that needs to be done for Navotua he added. Way forward through development of 20 year Sustainable Development Plan. In August 2018, the people of Tikina Nacula and WWF-Pacific launched the Tikina Nacula Sustainable Development 20 year plan (2018-2038) that provides a clear set of 14 targets which highlights the aspirations of the community and ranges from: sustainable financing; climate change; sustainable management of resources; traditional leadership and governance; tradition and culture; youth development; economic security; transportation; women development; energy; water; health and wellbeing; spiritual development and education. “Through WWF-Pacific, we are able to contribute to the Tikinas (district) 20 Year Sustainable Development Plan. We also have started work on our Disaster Risk Reduction (DRR) plan where we have also undergone vegetable and root crop value adding project training with our youths, men and women. The value adding training has led to the construction of the first ever, women’s community kitchen,” Rokotuibau said. He added since the district of Nacula lies along Fiji’s cyclonic path and is also located in Fiji’s driest regions; the community are looking for sustainable measures to prevent wastage of natural resources. “The priority needs for us now is to get at least two large 20,000 litre water storage tanks since during the rainy season, there is a lot of water but we don’t have extra tanks for storage, there is also a need for more solar grid connections since majority of the homes here only have the solar lamps to rely on at night in addition to the village generator.” he said. “The 20 year 2018-2038 Sustainable Development plan will guide us and the district committee to address the needs of individual villages. Already other communities are receiving development via solar grid connection and water tanks for every house. It is a matter of time before Navotua can receive such development, until then, we just have to do what we can,” added Rokotuibau. Currently, Ame together with the villagers of Navotua are working on creating a sand bank (sacks filled with sand and stacked on top of each other to make a seawall like structure) on a section of their village coastline. The sandbank is expected to prevent further coastal erosion brought about by flooding and encroachment of tides into their village. Earlier this week, he together with support from WWF-Pacific managed to plant 262 mangrove seedlings on a section of a coastline area of Navotua that they have identified. “As a village headman, this is the sort of initiatives I have to take lead in. There are times I do it alone. For me, it comes with the responsibility of being a leader. I am doing this for my family, my children and my community. These mangroves will provide for our livelihoods in the future as well as the other benefits of planting mangroves. 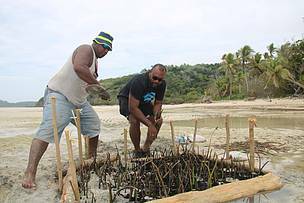 We just wait and see when these mangroves start to flourish,” added Rokotuibau. The recent mangrove seedling initiative is one of the rehabilitation efforts; WWF-Pacific has and continues to undertake with communities in the districts of Nacula over the next three years through its ‘Living with Change: Resilient Mangroves, Fisheries and People of Fiji and PNG’ or IKU project that is funded by the German Government. Ame Rokotuibau (Left) working on a mangrove nursery with WWF-Pacific's IKU Project Climate Change support officer, Apolosa Robaigau along the Navotua coastline. Ame Rokotuibau pecking a piece of wood to hold the borders of the mangrove nursery box. 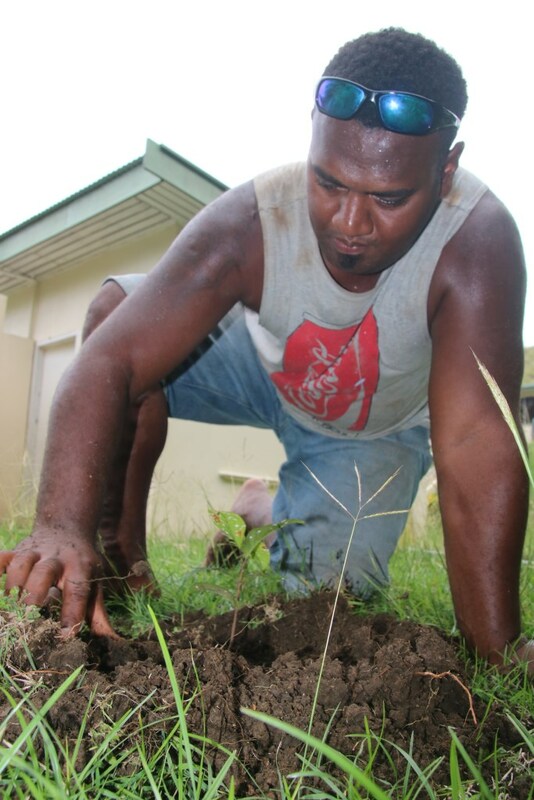 Ame Rokotuibau planting a Kavika seedling along Navotua's primary school in Navotua. Ame Rokotuibau part of a WWF-Pacific consultation in Nacula village.